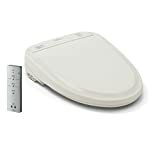 Why you should buy a Toto Toilet Seat? How to Install Toto Washlet? Toto is a leader in the world of “comfortable living”. Founded in 1917, the company completed its centennial last year. They have been providing their customers with the most luxurious and comfortable experiences. The WASHLET is a trademark of the Toto Company. The washlets are toilet seats with a bidet installed in them or bidet toilet combo. Before these, folks had to buy and install a whole other bidet just for this purpose. Toto revolutionized toilet comfort with these Washlets. The washlet basically sprays and cleanses you with warm water after toileting. This allows for a more clean and hygienic cleaning. 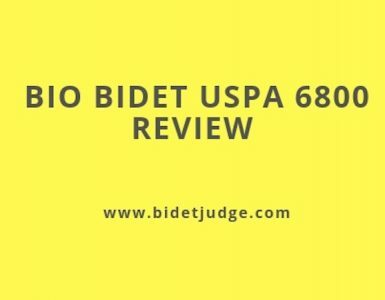 It is one of best bidet brand from Japan. Toilet papers can be rough and can end up irritating you. Plus, you need to use a lot of toilet paper each time you use the bathroom. You could use a separate bidet, but it would require getting up from the toilet seat and then positioning yourself for cleansing. Bidets are harder to install and use anyways. The Toto Washlet is perfect as it is easy to install and you can get a spa-like experience at home. Toilet paper is unable to remove all the waste, which can often lead to embarrassing situations. Water is the best way to cleanse yourself after using the toilet. All the best tot Washlets are equipped with a Premist function that keeps the toilet bowl clean as well. The new eWater+ compound ensures that the bowl and the wand remain clean and sanitary. Another reason to use the washlets is that they are eco-friendly. They reduce the amount of toilet paper you use and even eliminate it. This allows you to save trees. Plus, the advanced cleaning technology prevents you from using harmful chemicals on the bowl. 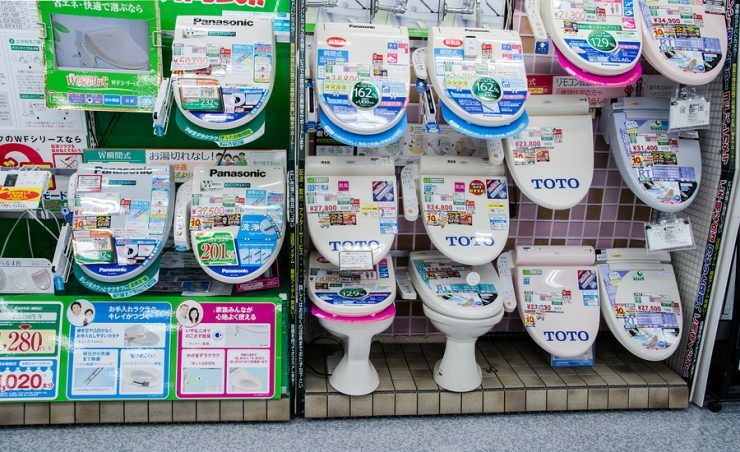 Picked out your best Toto Toilet Seat? Stuck on how to install it? Well, we’ll be glad to tell you that the installation process is quite simple. You don’t need to get a pro. You can save some money and handle it all by yourself. A Ground Fault 120V Outlet. Remove your regular toilet seat and clean the surface around the holes. Install the washlet mounting bracket into the mounting hols. You can use a Philips head screwdriver to tighten the screws until there’s only room for a small amount of movement. Slide the Washlet into the mounting bracket. You will hear a click when it is set into the mounting bracket. Align the seat and then tighten the bracket when you have it in place. Connect the washlet’s hose to the water tank supply to allow water to flow into the bidet. Next, turn the water back on and plug the unit in. Turn on the Washlet. An LED Light indicates when the washlet is on. For a more detailed explanation watch the video below or read the installation instruction from TOTO. 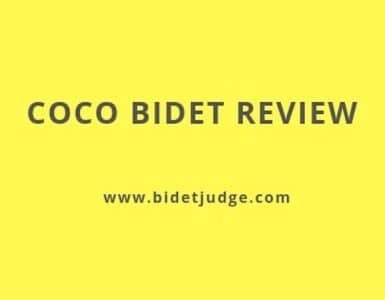 One of the most reliable and best bidets comes from Toto. The Toto C100 is an electronic luxury that you definitely need in your bathroom. The seat cleanses you with warm water and comes with five different adjustable temperature settings and pressure settings so you can choose one which you’re comfortable with. The Toto C100 enhances the cleanliness and comfort in the toilet. The toilet set doesn’t just keep you clean, it keeps your toilet bowl clean as well. The PreMist option mists the bowl so no waste can ever adhere to the surface of the bowl. In terms of comfort, the seat comes with a heating option as well as a warm air dryer so you never have to bear cold toilet seats again. Also included is an automatic air deodorizer for a fresh, clean atmosphere. Other features include a self-cleaning wand and a convenient arm control panel. 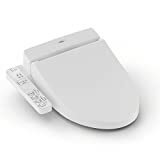 The toilet seat is perfect for those with compromised mobility so they can easily achieve self-care independently. The device is quite easy to install, in fact, you can even do it your self. All in all, the convenient and durable device is sure to help you maintain a clean and fresh toilet experience. Multiple temperature and pressure settings. Keeps the bowl clean as well as the wand. Includes a sidearm control panel. The tank reserve for hot water is too small. The Toto C200 is quite like the C100 model with a few extra quirks. The C200 comes with five different temperature and pressure settings so you can easily adjust it. The water shoots out from the front and rear for a more effective cleanse. The Premist function ensures that no signs of waste are left in your bowl. The self-cleaning wand ensures that the wand remains squeaky clean before and after every use. What’s unique is the remote control operation. In the C100, you had to reach to the side and then operate the bidet. Things tend to be a little different here. You can use a remote control to alter all features. The remote is backlit which makes it easy to read even in the dark. Moreover, it includes two memory settings so you can simply press a button for a previous setting. No need to enter it in all over again! Another unique feature to this model is the Pulsating cleanse, which ensures a thorough and effective cleanse. The model features a non-slamming Soft Close Lid so you can release it without touching the toilet bowl. The elongated seat on this model is definitely an advantage as it makes it easier for heavier and bigger folks. Various heat and pressure settings. Hot water reserves are small. The pulsating function is mediocre. When it comes to the best Toto washlet in terms of features and affordability, none can hold a torch to the A100. It has all the basic features that you need. The elongate seat ensures that more folks can easily fit on it. The heat is countered and heated to provide you with all the necessary comfort. Included with the seat are three temperature settings so you can choose your own preferred level of warmth. This is perfect for those living in colder areas. Not only is the seat heated, but you can control the warmth of the water as well. You can easily set the desired temperature and pressure of the stream. To help you control the jet stream, a sidearm control panel is provided as well. It can help you personalize your settings. The best part is that it is attached to the seat itself, so you won’t have to worry about losing it. This ensures that even users with limited mobility can use it effectively. A special feature called the Innovative Air-In Wonder mixes the water stream with air so that jet is not too harsh. This ensures a proper cleanse with a strong yet gentle stream. Allows instant hot water from the tank. Gentle yet strong water jets. Different temperature and pressure settings for the water. Does not work during a power outage. Seat opening is too small for some users. If you want something better than the Toto a100, then perhaps the A200 might suit your fancy. 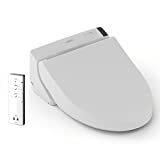 The best Toto washlet comes with an elongated seat so it can support folks of all weights and sizes. The unique part about the A200 is the remote control that allows all the settings to be at the reach of your fingertips. The remote is quite easy to use and features illuminated touch controls. This makes it easier to access and use it during the night. 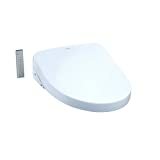 The panel can easily be mounted beside the bidet or it can be kept at hand whenever you use the device. It also offers the remote with 2 user settings that allow you to save up to 2 different preferences. Another unique aspect is perhaps the Quick Release Feature that allows you to quickly remove the bidet and wash it. This encourages a better hygiene by allowing you to clean the bidet properly. Worried about having to set it back? Well, the Toto Washlet Installation is quite quick and easy. You need only press a button and you’re done! The dual action spray features an oscillating system to help you cleanse properly. With the A200, you’ll get the best cleansing action at an affordable price! Quick removal feature for easier cleaning. Saves up to two preferred settings. Remote can be easily lost. If you’re looking for the ultimate luxury and best Toto Washlet, then look no further! The S550e is a premium choice for those who want a spa treatment each time they go to the bathroom. Japanese Style technology features a strong and gentle water cleanse for the front and back. A special feature is the Ewater+ compound that cleans the toilet as well as the wand. This ensures a hygienic toilet. One of the major problems for the best Toto Bidets above was that they used a tank to heat up the water. Not the S550e! The S550e uses a tankless water heating system which heats the water straight from the pipe. This means you will never run out of warm water. The absence of the bulky tank allows for a more streamlined and space saving design. Also featured is an auto-open and auto-close lid so you never have to touch the toilet! 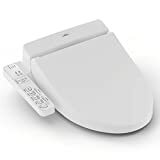 You can even set it to open or close the toilet seat itself. An illuminated nightlight makes it easier to go to the bathroom in the dark. The heated seat and warm air dryer ensure you never get ice cold in your seat while the automatic air deodorizer ensures your toilet always smells fresh and clean. Never runs out of warm water. Auto open and close the lid. Cleanses the bowl and the wand automatically. Illuminate nightlight for better visibility. Light only turns on when the lid is open. Another premium and high-end Tot Seat with a price to match its reputation, the Toto S350e is equipped with all the functions you could ever want. 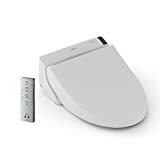 The S350e also has a remote control operation where you can easily control all the features of the toilet with the device. The remote is backlit which makes it easier to read and use. You can easily turn on gentle and aerated water or warm water according to your preference. This model features pulsating and oscillating water jet options as well! This allows for a more personalized experience. The warm water comes directly from the pipe due to the tankless design of the bidet. The volume, pressure and the temperature of the water jet streams can be easily adjusted. Plus, the seat’s temperature can be controlled as well. In addition, it also features EWATER+ system which will clean your bowls and wand automatically and has anti-bacterial function. The automatic air deodorizer and the Soft Close Seat will ensure your bathroom is the epitome of hygiene! The best part is that the seat is slim, almost 4 inches thick, which is a welcome sight after all the bloated seats. 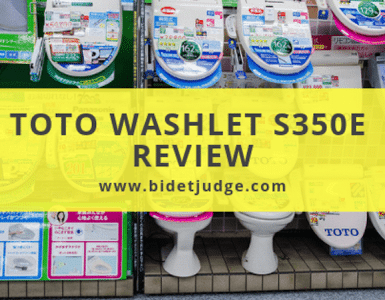 Click to read our review for TOTO s350e. Keeps the bowl and wand clean. Nightlight only turns on when you open the lid. All in all, the Toto Washlets are best in terms of providing you with a clean and hygienic experience. You can choose any one of our best Toto washlets. Each has their own pros and cons, with some being more economical and other being pricier. The choice is yours! But, we hope you’ll make a sanitary choice!